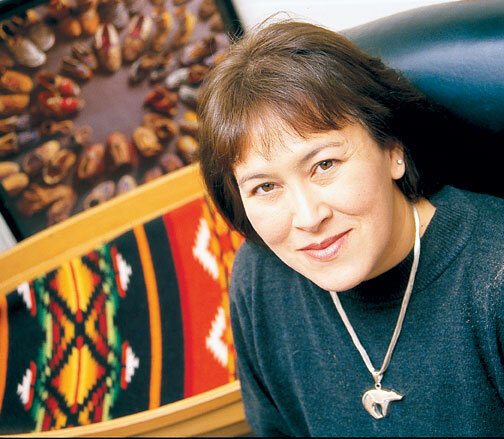 When Lori Arviso Alvord ’79 penned her memoir, The Scalpel and the Silver Bear, she recounted her journey from a Navajo reservation to the operation room where she became the first member of the Navajo tribe to become a surgeon. Her work draws from Navajo philosophies of healing with western medicine. Dr. Alvord currently holds an appointment as associate faculty at Johns Hopkins Bloomberg School of Public Health Center for American Indian Health, and is employed as a general surgeon by Astria Health, serving the Yakama tribe of Washington. How did Dartmouth help you become a doctor? I wasn’t planning to become a doctor when I was at Dartmouth. I was raised in a very poor Navajo community in a remote rural area. I had never met a Native American physician, and had no plans to go to medical school. And, as I wrote in my book, I came from a small rural high school that had not prepared me for science courses at Dartmouth. I honestly did not think I was intelligent enough to become a physician. But one of the last courses I took was a neurophysiology course, and I became fascinated with the human brain. This course led me to take a position as a research assistant at a neurobiology lab after graduation. My research team encouraged me to apply to medical school. I never dreamed of being a surgeon. But I met a Native American surgeon and fell in love with surgery while working with him. I am a highly visual learner, and my fine motor skills were well developed, from years of Native beadwork. I was accepted to Stanford Medical School, and went on to train at Stanford University Hospital for my general surgery residency. I had difficulty with part one of the USMLE [United States Medical Licensing Examination], the basic sciences, because there was so much information to retain, and I wasn’t a science major. But I passed parts two and three easily (the clinical examinations), and have passed my surgery board certification examinations three times now (we take the examination every 10 years). I do not recall a specific professor that helped me become a doctor, as most of my science courses were taken after I graduated. But Dartmouth helped me most by accepting me, and providing a community of support. A liberal arts education is such a strong foundation for any career. And, I believe that I owe my success to the founders of the Dartmouth Native American Program: John Kemeny and Michael Dorris, but also Ralph Manuel, and Greg Prince. They had the vision to understand how life-changing this experience would be for Native students. I also owe my success to Andrew Wallace, MD, the dean of Dartmouth Medical School [now Geisel School of Medicine], who hired me as associate dean of student affairs, in 1997. I realize that he and Gordon Russell ’55 (then chair of the Board of Overseers at DMS) saw more in me than I could see myself! You were the first member of the Navajo tribe to be board certified in surgery, and in your practice, you bring together two types of medicine—traditional Navajo healing and conventional Western surgery. How does providing culturally competent care help your patients? In the early ’90s, when I began changing my surgical practice to accommodate my patients, it was quite radical. I scheduled my operations so that patients could have traditional ceremonies either before or after the procedure. We made it possible for healers to bring prayers, chant, and smudging to their patients. And it was normal for patients to bring sacred objects with them for comfort or protection, an eagle feather, a small carved animal, a corn pollen bag. Many Navajo patients would not come to hospitals at all. It is easy to understand why, they distrusted western doctors, and often came as a last resort. I felt that we needed to have our care for patients be as welcoming and comfortable as possible. This means honoring their culture and beliefs, bringing Navajo art to the hospital, serving some Navajo food, and showing respect and care for their entire being. My work has gone on to study Navajo ceremonies. I have found they encompass principles of mind-body medicine (psycho-neuro-immunology), and stress physical and mental wellness. They include the teachings of care and protection of our environment, mirroring core principals of environmental sustainability. All these principles are woven into what we consider sacred, which helps ensure that these concepts are passed on from generation to generation. You’ve achieved incredible things in your career, from important surgeries and academic appointments to writing a memoir and being endorsed as a candidate for U.S. Surgeon General, but you’ve also spoken about struggling in college science classes and making more than one attempt at the national board exam for your medical license. What advice would you offer to a student or young alumna/us who is struggling to succeed on their chosen path? My story is such an unlikely success, that I sometimes tell students that if I could do it, so can they! But it takes solid preparation, and incredible motivation. Students who come from backgrounds like mine may not have had adequate high school preparation for an Ivy League education. They may find some courses to be a struggle, and particularly science classes. In Malcolm Gladwell’s new book David and Goliath, he describes how students who attend Ivy League schools will take STEM courses, and may be in the lower half of the class and think that they are not intelligent enough to enter a medicine or science career, and may be concerned about their grades. However, they forget that they are in a class with some of the strongest students in the country, and they are actually just fine. But grades do matter when applying to medical school or graduate school. If Native students are not obtaining a predominant mix of A’s and B’s, I advise them to consider taking pre-med courses after graduation. If they take these courses at state schools, they will often achieve these grades. There is that much of a difference in competitiveness in classes at Dartmouth. And if they stumble initially, we should be doing everything we can to provide them the skills they may lack, and give them the opportunity to re-take courses without harsh penalties. I also have a message for Dartmouth as a whole. The Native students who attend Dartmouth represent the brightest minds of their tribes. In a very real sense, these students represent the future leaders of tribal communities. Each student is a tremendous investment, and they should receive the strongest support we are able to give them. Dartmouth has now graduated thousands of Native American students, and they are now leaders in our Native communities. If I may, I would like to share one more thing. Last week, I was contacted by the chair of the Stanford Medicine Alumni Association’s awards committee, to let me know that I had been selected as the recipient of the 2018 J. E. Wallace Sterling Lifetime Achievement Award in Medicine. The award honors one-two alumni per year. I am humbled and honored, as this is beyond anything I could ever have imagined! My deepest thanks goes to Dartmouth College and Dartmouth Medical School, for the incredible preparation I’ve receiving, and for supporting my career over the years.